Reporting on the climate debates and (lack of) action taken by countries, however, is only one of the ways journalists contribute to putting the topic on the world’s agenda. There are many more reasons why we should support – or at the very least embrace – independent journalists who write about the climate and development. Decisions about climate and development ambitions and actions are usually taken by (inter)national governing bodies. These decisions direct affect people’s lives, yet they are often based on numbers, while people’s real concerns are overlooked or dismissed. I do believe policy makers care about the well-being of citizens, but they often lack the ability to put the challenges we face on a human scale. Journalists are well positioned to bridge this gap. They report on the threats climate change poses to real individuals and their livelihoods. They tell inspiring stories about how climate-related development solutions, like access to renewable energy, have improved peoples’ health or empowered women entrepreneurs. And they shed light on innovative initiatives and technologies that help protect the environment. Above all, journalists can enhance the two-way communication between policy-makers and citizens. 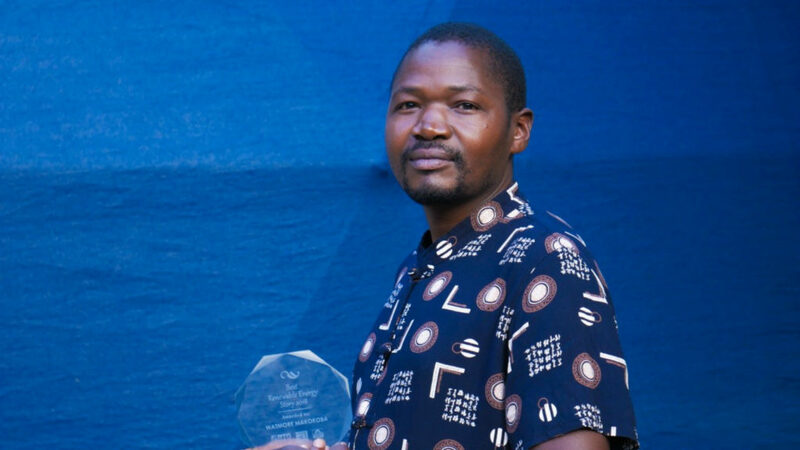 Watmore Makokoba is a Hivos trained award-winning journalist from Zimbabwe. He explains how his country could leapfrog to a clean energy powered economy if it overcomes three challenges. Journalists, though independent, are never impartial. They can use their position to steer the debate, enhance transparency and demand accountability. A good report on taxpayer money being invested in extracting fossil fuels may motivate citizens to demand their government invest in renewable energy instead. And in any case, the reporting forces the government to explain its choices and take responsibility for the consequences. Without oversight by dedicated journalists, policy makers are free to disclose only the information they want. And even if they are transparent, the information they provide is often not clear to the average person. As I mentioned above, with the choices they make, journalists can put topics on the public and political agenda. For example, the number of articles about climate change and renewable energy has increased significantly in the last ten years. This has boosted the pressure on governments, international institutions and businesses to invest in climate action and the energy transition. It has also contributed to the public’s acceptance of these investments and has even prompted people to buy solar panels for their houses (see article ‘Media effects on solar panel installations across 20 states’). Voices of a Brighter Future competition, an initiative of UN-OHRLLS, invited journalists to send in stories on how sustainable energy is positively affecting communities in their countries. The winners attended the Sustainable Energy for All Forum in Lisbon in May 2018 and were featured in a special magazine. The BEAM Magazine is a tri-annual printed publication covering the energy transition and the race to a zero carbon economy. It offers journalists a place to feature their stories to reach a wider readership. Climate Tracker, an organization that specializes in connecting with young journalists all over the world, offers training on content and skills to improve climate reporting. At Hivos, we have always regarded independent journalism an important means toward achieving open and green societies. We support independent media in many developing countries, and since 2016 we have been working with journalists in our climate and energy programs. The results are already remarkable. Our collaboration with Climate Tracker to train journalists in Zimbabwe and Malawi has led to a marked increase in quality reporting about renewable energy and energy access issues in these countries. We encouraged our journalist trainees to enroll in the Voices of a Brighter Future competition. One of them, James Chavula, was among the seven winners with a piece on the effects of indoor pollution from traditional cooking habits on women and children. His report shook things up in Malawi to the point of being discussed in parliament. Simple energy technologies can save lives and trees when made available, James Chavula writes. 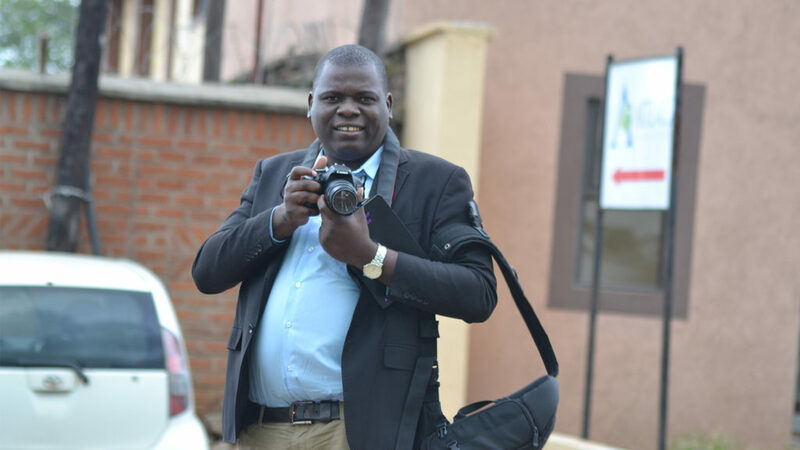 The Malawian journalist, supported by Hivos, is on a mission to shake up the energy debate in his country. We are now organizing immersions and fellowships for journalists to better understand the energy landscape in their countries. And we have connected them with international media outlets such as The BEAM Magazine. This year, we funded journalists to travel to international conferences, such as the High Level Political Forum on SDG 7 (access to sustainable, affordable and reliable energy for all) and the COP24 (the 24th Conference of the Parties to the United Nations Framework Convention on Climate Change). In these ways, Hivos is enabling independent journalists to become critical investigators and storytellers of the real impact that climate change, climate actions and development solutions have on real people. If you are interested in our work or want to collaborate, please contact me at mhindriks@hivos.org.